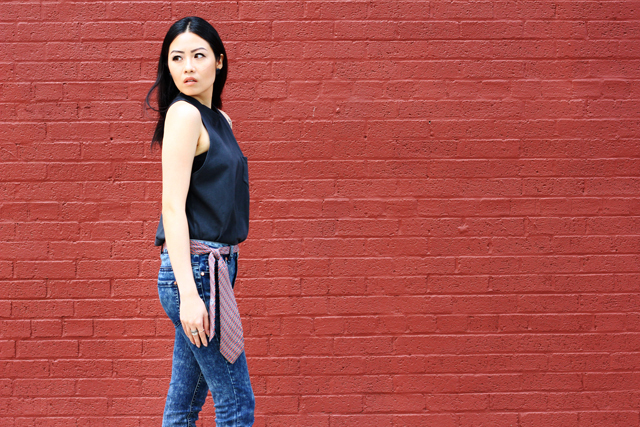 OOTD: Today, it’s a tie. There are two things I like very much. One is a long weekend with a Friday off instead of a Monday (seriously, how often does this happen?) The other is buying something and getting more use of it than I had originally thought. This weekend had both of that! 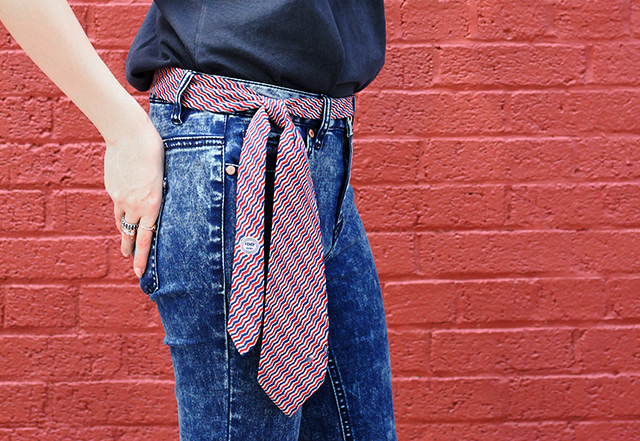 This vintage tie hasn’t been used much as it was designed for, but I can say, it’s been used as a belt more times than I can count. Previous Post Shop Update: Our Etsy Shop is on Sale! 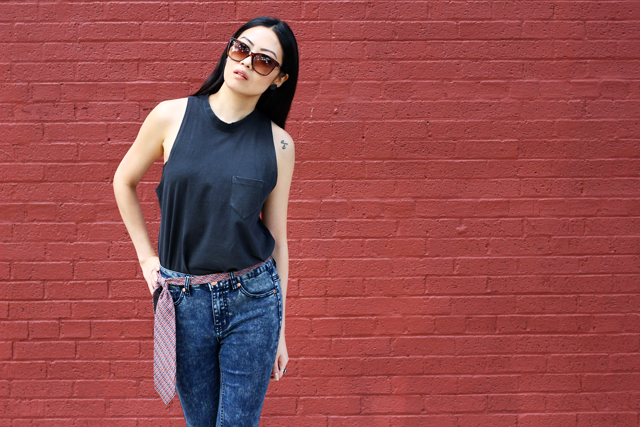 Next Post OOTD: Today, it’s cutoffs and speed bumps.